On this page we’ll list trades, services and outlets that we’ve used related to caravan modifications or repairs, car servicing, and caravan supplies. If someone’s name appears here, it’s because we’ve had a good experience with them. (If we have a bad experience, we’ll take it up with the supplier and maybe mention it at Happy Hours if the subject comes up. We’re not going to bag anyone on this blog.) Oh, and we pay for every service – no contra deals here! 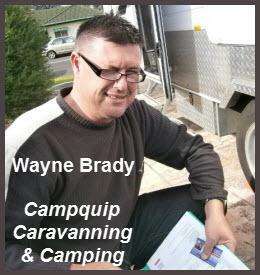 Wayne Brady (Port Kembla, South Coast NSW) Wayne is a certified retro-fitter for the ALKO Electronic Stability Control System for Caravans. We found him to be obliging and knowledgeable. He carries a small range of caravan and camping equipment at his shop, but is happy to order in for you. 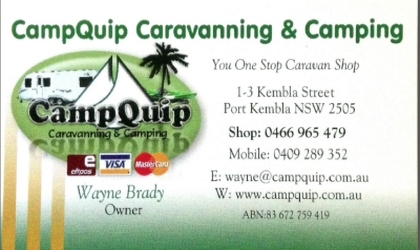 Check out his website for a more detailed list of products and services: Campquip Caravanning and Camping. If you have any queries, just email or phone. 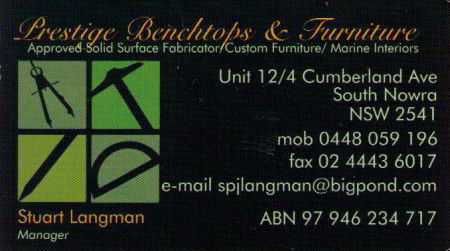 Stuart Langman (Nowra, NSW) Stuart did a great job on our caravan modifications: installed a washing machine, adjusted height of chairs, installed a shelf and a power point. 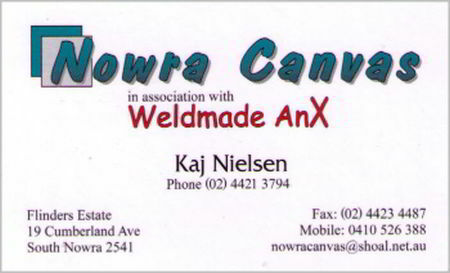 Kaj Nielson of Nowra Canvas (Nowra, NSW) Kaj made an annexe for our caravan – exactly to specifications (see post here). Excellent workmanship.